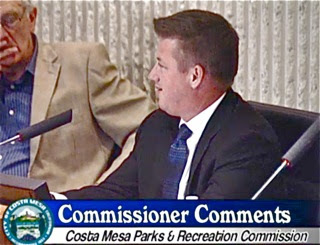 Last week, on Thursday, March 24, 2016, the Costa Mesa Parks and Recreation Commission under the guidance of new Chairman Brett Eckles met to discuss a small, but interesting agenda. You can watch the streaming video replay of the meeting HERE. 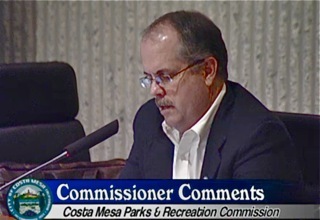 Commissioner Don Harper was absent for the third consecutive meeting with no explanation given. I was also absent, traveling to an exotic location to help my wife celebrate her birthday, hence this tardy report. Better late than never, right? If you want to read the agenda for that meeting go HERE. During Public Comments an unidentified person reminded all of the petition being circulated to place an initiative on the November ballot to prohibit development of Fairview Park. She also told the commission of an effort by a group in San Clemente to generate state action on Sober Living Homes. She referred us to the site for her local group, Take Back Our Neighborhoods (TBON) at www.tboncostamesa.com, which contains a link to the online petition involved. Skateboarder Rocky Evans again asked for extended hours at the Volcom Skate Park. 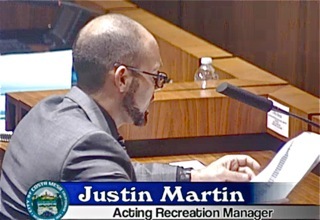 The first item on the agenda under New Business, HERE, was a new Instructional Class Proposal presented by Interim Recreation Manager Justin Martin. This is a fascinating new program, to be conducted beginning in June at Fairview Park. Read the staff report. The meetings will be on Saturdays, not on Thursdays as previously suggested. Commissioner Byron de Arakal seems to be the prime mover on this issue. 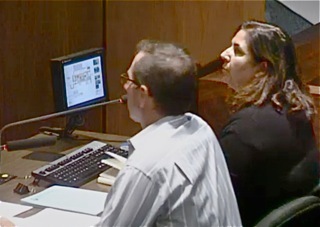 The four-week program, which was described as a first step - a pilot program for broader application if successful. 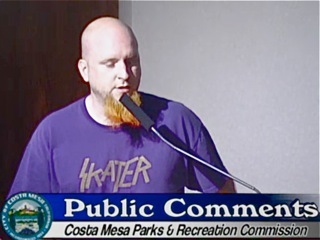 de Arakal mentioned Canyon Park and Talbert Nature Preserve as other possible venues. Week 4 (June 25) - Planting. See the staff report for more details. The instruction will be conducted by members of the Institute for Conservation, Research and Education (ICRE), a non-profit that has conducted similar programs in the Newport Beach Upper Bay. Although the staff report says the number of participants will be 10 - 25, that limitation is not firm and may be more flexible, depending on the community response. Although designed for an older demographic, the dates were changed to Saturdays to accommodate school-age children, too. More information will be forthcoming in the city Recreation Guide in the near future. 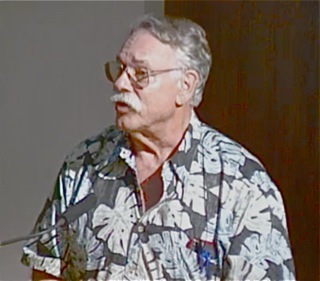 Only one member of the public addressed this issue, former councilman Jay Humphrey, who heartily supported the concept. I was surprised more Fairview Park activists didn't show up for this meeting. The commission moved it forward on a 4-0 vote. The second item under New Business is the proposed plant palette for the new outdoor meeting area adjacent to the old Print Shop - which will be converted to a meeting room - behind City Hall. After a short discussion in which the suggestion to have a confer process with the landscape maintenance organization on the plant appropriateness, the commission moved this forward on a 4-0 vote. 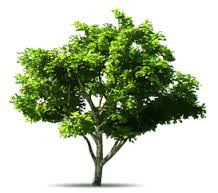 The commission voted 3-1 with de Arakal voting NO, to DENY the request to remove two trees at 3140 Jefferson Street. The property owner was not present to plead the case for removal, which apparently swayed the decision of at least one commissioner. The applicant can re-apply again in a year. They also voted unanimously to vote to deny the removal of trees at 1881 Maui Circle, 1883 Maui Circle and 216 Flower Street. Martin provided a summary of the Recreation organizations achievements during the fall and winter months, including the receipt of a prestigious award for the Ranch Program. 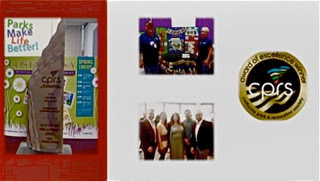 The Award of Excellence was presented by the California Park and Recreation Society at a recent expo. Kudos to Martin, Assistant CEO Tammy Letourneau and the Recreation staff for the program excellence. 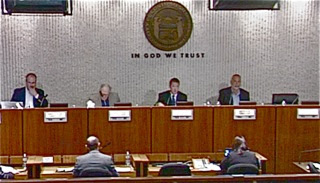 During Commissioner comments de Arakal expressed angry chagrin about a new bill being proposed in Sacramento by a San Jose assemblyman - AB 2496, which proposed the elimination of daylight savings time in California. He stated this is will require a tremendous increase in lights on fields throughout the city. He asked for a brief report on the impact and to have it agendized in April. He described it as the "dumbest piece of legislation I've seen in a long time." Chairman Eckles agreed wholeheartedly, with no small degree of anger, too. He described it as "a disaster". As he prepared to close this meeting Chairman Eckles expressed disappointment that nobody showed up for the meeting. Of course, some of the tree removal applicants were there, but bailed out immediately after being rejected. I, too, was surprised that nobody except Humphrey showed up to discuss the Fairview program. Regular attendee Beth Refakes was at Camp Pendleton, distributing easter goodies to the children of the 1/5 Marines and your humble correspondent was heading that direction to begin my wife's birthday celebration trip. To be honest, the Parks and Recreation Commission meetings are the most sparsely attended of all the commission meetings - including the Senior Commission. Perhaps the April meeting, with the Daylight Savings issue on the agenda, might evoke more participation. I hope these people have the good sense to realize that snakes are out already. In fact, I've seen 2 rattlesnakes. One last season, and one the season before. Neither was in the shrubs, but one was in the parking lot of Waldorf School. So please be careful while gathering seeds and clearing the shrubs. Guess Who's Going To Be On The Radio?